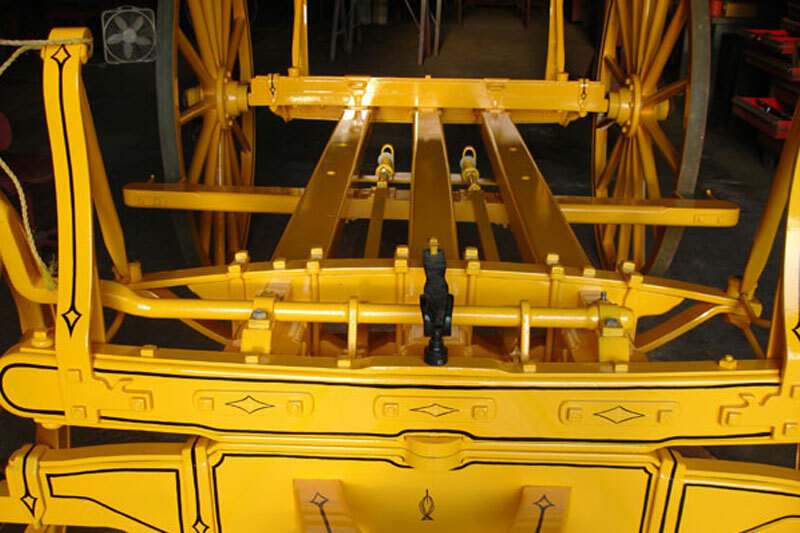 We welcome prospective customers to view our workmanship in person, just call for an appointment! Our Coach speaks for itself. 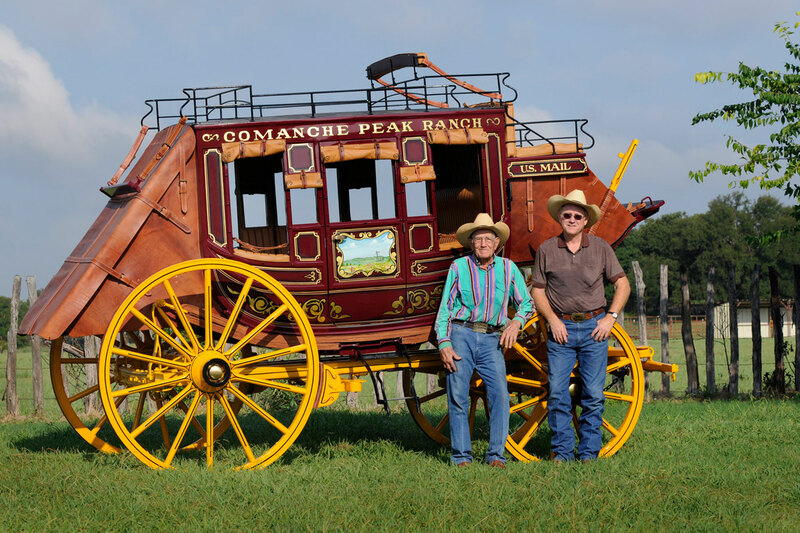 All custom and built to last for years of service. 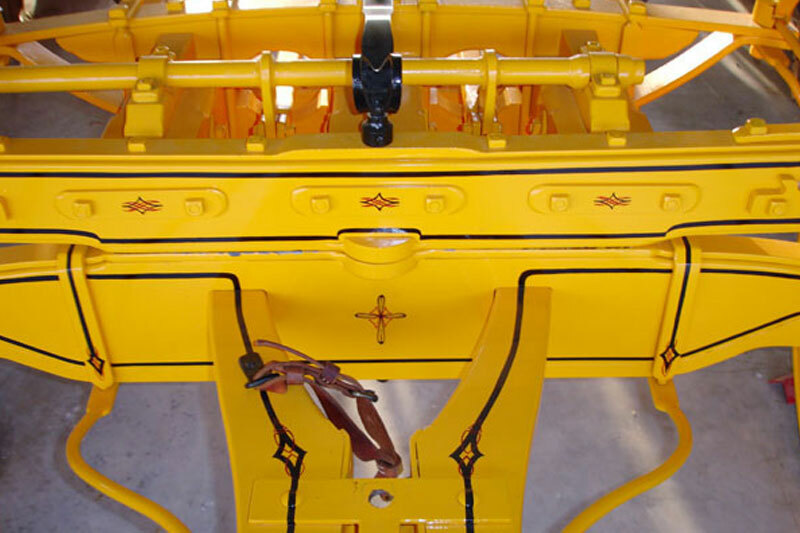 The body is made of fiberglass poured over wood inter frame. All one piece, no seams. The running gear is made of #1 Ash. 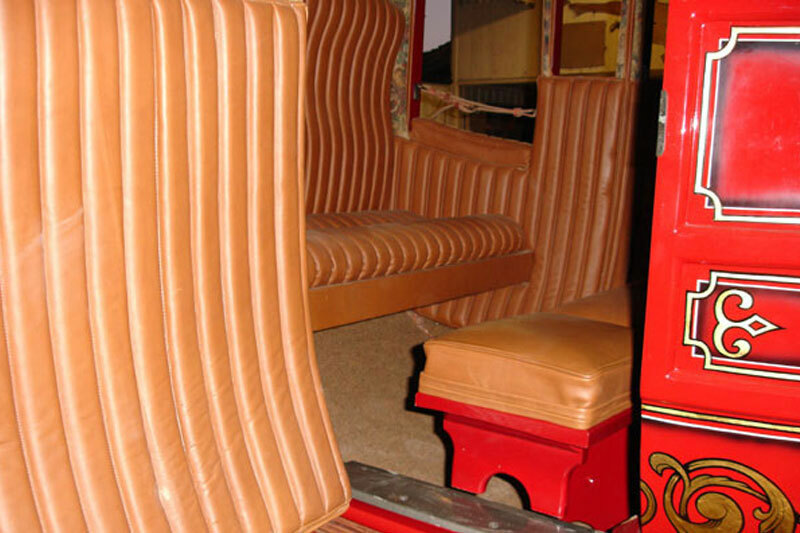 With the fiberglass body there are no joints to crack and it it more durable than the wooden body coaches. 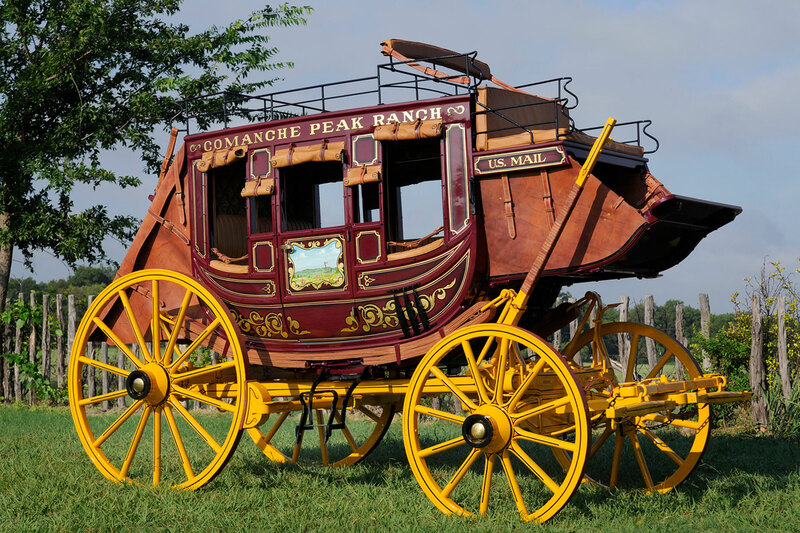 Copied from the Abbot-Downing Co., nine passenger Concord Stagecoach, we have many years of research and great attention to detail that goes into each of our coaches. 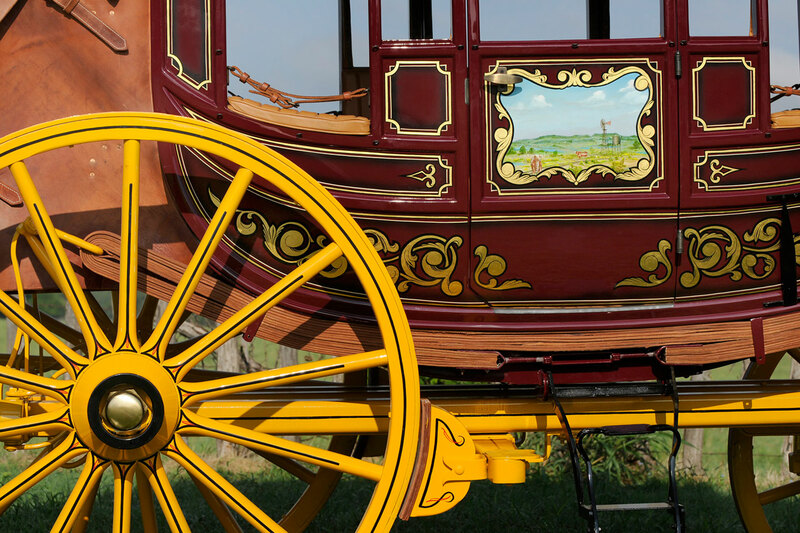 Pinstriping and murals on the doors put the final touch on your museum quality Stagecoach.